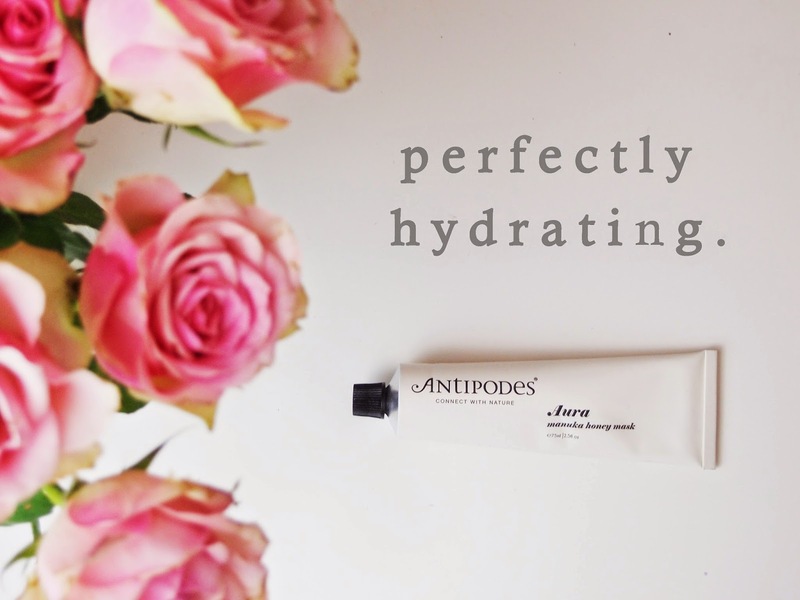 I can't believe I have never tried any Antipodes products before, seeing as there has always been such good reviews about the brand. My first foray into the brand was this Aura Manuka Honey Mask (buy it here) - and boy did it not disappoint. My skin has been feeling really parched of late, I'm blaming hormones, so I've been really layering on the moisturiser. Nothing was really hitting the nail on the head until this little beauty came into my life. I've been using it about 3 times a week, smoothing it onto my face and neck and then taking 15 minutes of relaxing time whilst it sinks in. My skin really does drink this mask up. The mask itself has a lovely honey scent to it so it really is a pleasure to use. When I rinse the mask off my skin instantly feels much more hydrated and fresh. I had a few little dry patches on my neck (you know, the ones that fake tan attach to) and a few dollops of this mask and them and they had disappeared. Magic! All in all, one of the best masks I have used for a long, long time.